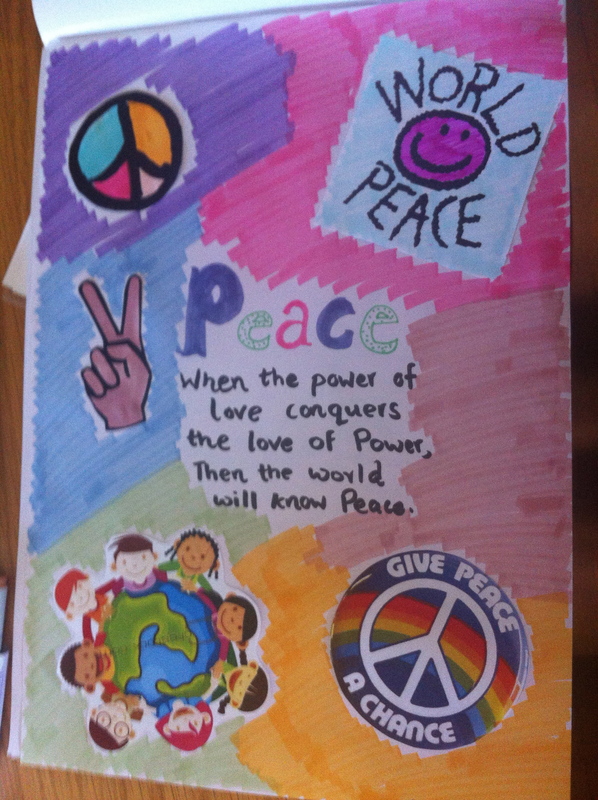 My simple message of Peace for the Olympic Truce Peace Festival to be held tomorrow. Today was the final day of the training for the Olympic Truce Youth Peace Ambassadors, it was nonetheless a day filled with important lessons and valuable advice on how to carry out our mission as Peace Ambassador’s. Manal Kelig an important player of the Tourism Industry in Egypt spoke to us about Tourism and Peace. Giving an example Manal explained that an Iranian passport holder is not allowed to travel to countries occupied by the Palestine’s, but at that moment Egypt, Israel and Iran were sitting on the same table discussing issues regarding peace. This is an example of what we as peace ambassador’s can do, we need to speak peace and change everyone’s perceptions. So what can we do to promote peace through tourism? “Be a Verb, not a Noun!” said Manal, “be an ethical traveller and a positive traveller.” We need to choose sustainable tourism and make sure that we don’t add to the negativity but most definitely add to the positivity. Some of Manal’s projects include the ‘Before You Are Back Give Them A Pack’ campaign, cultural interaction programmes and voluntourism. 100,000 aluminium cans are used every 30 seconds in USA. 1 Million plastic cups are used every six hours in USA airlines. 2.4 Million pieces of plastic enters the ocean every hour. 426,000 mobile phones are thrown away in USA everyday. We as youth need to lead by example and adapt a sustainable lifestyle. Imagine what will be left to our children and grandchildren if the world continues like this? Kairoon also said that in developing countries we’re already living sustainably, but what happens when we get richer? Are we going to remember to live sustainably? To end our day we had a special visit by the Southall Community Leaders. This group included leaders from the many different faith groups in Southall. It was fitting that they would give us some helpful tips and advice on achieving a peaceful co-existence in the society. During the London Riots last year people were expecting the Southall area to be hit the worst, considering the history they have with gang violence and social disruptions, however within 25 minutes the community leaders and the youth gathered and implemented a solution before the riots struck them, and they were not affected. This is just one example of how united the community is. Gulu Anand, one of the leaders said that “the power of community and unity in Southall is phenomenal” but it takes a long time to achieve a peaceful co-existence. And what we as Peace Ambassador’s are doing now is the first footsteps towards it. He also said that it’s important to have community events where everyone gets together and share their culture and traditions. What they believe is that “All religions are equal, there is no superior religion” and that is how they maintain this peace. Next postCultural Rights Vs. Women’s Rights: How do we strike a balance?